There are a lot of resources and experts on the topic of mental health. How is Wellness Orbit different? Dr Helena Lass has put virtually everything she knows about proactive mental wellness into one place. This comes from over 10 years of research and systematization and endless hours working as psychiatrist. She also understands the fundamental principles of entrepreneurship and personal initiative as she has been entrepreneur herself. But not only that, Dr Lass has also taken very practical awareness courses by Master Teacher of Awareness Ingvar Villido and is teaching his courses about The Art of Conscious Change™. Even more, Dr Lass has written also a scientific paper about proactive mental wellness and personal sustainability that was published 2018 globally by Routledge - the world's leading academic publisher in the Humanities and Social Sciences. There are not many medical doctors who have this kind of real world experience and achievements. And there for sure is no-one else who have managed to combine it all into a digital mental wellness gym that is available 24/7! Every single mental wellness gym training session here is taught in a way that is simple and practical, improving mental fitness and productivity of your team. Most other mental health live or digital first aid courses or mental health courses can give you very basic information of the common mental illnesses and address how to support someone with mental illness. This is also needed, but here we focus on mental wellness, no other fully digital solution does that. Here we give you and your team access to very practical intrapersonal skills, so that everyone in tour team can stay mentally well when face-to-face with real life pressures and stressful (work) situations. This unique proactive approach to mental wellness and lasting inner motivation is not available anywhere else! Dr Helena Lass does not provide similar trainings in live format and continues to work as psychiatrist, sustaining her top-professional qualifications as a medical expert in the arena of mental health and mental wellness. And one last thing: You won't find a more attractive pricing to this kind of high quality e-trainings that improves mental wellness and productivity at the same time anywhere else! We are so sure that this mental wellness gym will surprise you that right now we offer an opportunity to experience our mini training for free. This offer might not last forever, so click now! There really is no hidden costs or tricks. When are these courses being held? Wellness Orbit mental wellness gym trainings a video based fully digital training programs that are delivered on demand 24/7. You and your team can access the video lessons and other resources over the Internet with your smartphone, tablet, laptop or desktop – whichever you prefer. Your team will get access as soon as your order is made and your payment is received. You can find out more details below. 1) For instant payment and activation of your user account we provide secure payment solutions by Visa and MasterCard (both Credit and Debit cards but Maestro and Visa Electron cards are not supported; if you pay with Visa or MasterCard you are guided through the payment process). 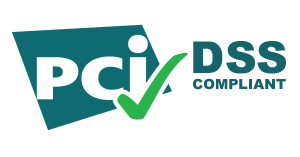 We use EveryPay payment platform that is PCI DSS level 1 certified in co-operation with LHV Bank situated in Estonia, EU. 2) Other option for instant payment and activation is secure payment via LHV internet bank (for that LHV Bank should be your service provider in Estonia, you are guided through the payment process). 3) If you accept manual activation after payment with some delay, you can choose Bank transfer option. You will still get an instant e-mail from us with your invoice that you have to pay within 7 calendar days. We usually check our bank account at the end of every office day (form Mo to Friday) and activate new user accounts based on paid invoices usually next day after we have received your payment. Note that in case of bank transfers there can be a delay before money arrives to our bank account (this delay is not up to us, but depends on your bank). In case of Bank Transfer you are responsible for the bank transfer fees (Within EU all EUR payments to Conscious Initiative OÜ have to be made as Single European Payment Area (SEPA) payments with the "shared" fees option, in case your bank is not in EU you need to pay full bank fees). In case of bank transfer we reserve up to 48 h delay on activation of your user account from receiving your payment on normal office days and up to 96 h delay if your payment arrives on Friday). What to do if your credit card payment fails? card is enrolled for 3DS transactions. With valid card and correct passwords or CVC codes and expiry dates credit card payment solution works. How I get an invoice after payment? Our training platform www.wellnessorbit.com is mostly B2B orientated solution. You will receive an invoice by e-mail automatically right after the payment (it leaves our server within seconds of payment conformation). No hassle. What is the cost of this online training? The average quarterly cost for one employee can even be as low as 9 € (our aim is to keep the training content accessible to as many persons as we can). You find Training Practice prices stated according the company size here: http://www.wellnessorbit.com/trainings/, after you choose the actual training you want to have access to (price options according company size are shown on the area with golden background). As our Platform is built as mainly B2B solution, the actual online training (e-training) price is based on the company size (how many persons there are totally in the company). How do employees prefer to learn? 49% of employees prefer to learn at the point of need. All Wellness Orbit e-trainings enable that for your team; come and find out more about the benefits. Can individuals buy these mental wellness trainings? Yes, all individuals (private persons) can use our e-trainings. To buy the training as individual please choose the lowest price option (1 to 25 persons). To use our system as individual you need to enter your existing personal homepage domain name or you can write instead of it just: www.firstnamelastname.com (where the firstname part is your first name and lastname part is your Family name, stating this is a must, however you do not have to buy this domain name or use it actively). When you buy the training as individual you can invite your family members to take part of training (up to 25 persons in total). When can my team start with the chosen online training(s)? In case you use credit card payment or LHV bank link payment your admin gets almost instant access and can start preparing invitation campaign to your staff. Your company staff can start the selected and paid online trainings within 24 h of your user account activation (it takes about 3 hours to render one personalized training session after you have uploaded your company logo, there is total 5 sessions; first of session is usually available within 6 to 24 h after your user account activation). Thereafter nominated admin can invite the personnel to join in and start the training. Your admin desktop has all the needed guidelines explaining what to do and how to use our online training system (it is a fully automated self service system); no special IT skills are needed, anyone capable of using basic internet browsers can use our platform easily). How to secure that my staff will take part of training(s)? We provide automated e-mail invitation to your staff as well as give your admin access to promotional printable posters and digital banners to help you to communicate the training to your staff with ease. You will find needed materials in the "Download" folder on your admin desktop. To secure good participation you can invite people multiple times - you will find guidelines on your admin desktop (our system invites each person at least 3 times). However, we also recommend informative custom letters to your staff from within your company e-mailing system or Intranet prior to starting the training or during the first weeks of the training. When a leader takes the training first and states how it helped him/her, others will always follow more easily. Personal example speaks more than words. Our customers have given us feedback that the best engagement happens when you organize joint viewing of the videos in your office. In the workbook (provided with the training) you will also find a group discussion guidelines that are specific to each training. Each person can later also re-watch all the video(s) and make personal notes. We recommend to start the training with one joint viewing session per week for best results. Then after 5 weeks people still have enough time for re-watching and re-taking the tests to improve their personal results as all of our trainings remain open at least 3 months (annual membership is also available). How can I and my team use the trainings? User log in to your Wellness Orbit trainings is here: https://www.wellnessorbit.com/user-log-in/, every employee will have personal password and is guided through the training step-by-step. No outside facilitation is needed as we designed good digital facilitation and provide a workbook to support that. You and Your Company employees may use what You have heard for the development of Yourself and Your Company from all of our Training Practices after purchasing the Training Practice user rights. However, the Training Practice user rights do not give you the right to download, copy, transmit, reproduce or re-publish the content (videos, spoken text, graphics, illustrations, questionnaires or screenshots) of our Training Practices or Training Sessions in any form. But still you may quote our online trainings (e-trainings) according the Terms and Conditions on our homepage (see final section). Training Practice user rights also allow you group viewing with your staff, but do not allow public video playback. If you become an annual member, you and your company employees can re-participate the trainings at any time during the membership period. System also allows multiple self-evaluations to see your progress. The usual time period for using one Training Practice is 3 months from the moment of obtaining your access, but Annual Membership is also available. What if I have questions about the content of the online training? Then ask them! You can send us questions that are directly linked to the training practices - please use e-mail: wellnessorbit@consciousinitiative.com (guidelines are provided within the closed training environment). We administer a closed Facebook group where all the participants can see the answers (your alumni membership is free and without any time limit). We will post all the answers to your questions into the Facebook group in text or video format. However, please keep in mind that personal questions on confidential health, family and work matters are a different topic as we do not provide personal consultation - for that you should seek nearest coach or professional expert to your location. We do not post answers to very personal questions in the group to secure your privacy. What are the benefits of annual membership (subscription)? Pre-paid Annual Membership secures that you one new training per quarter of a year. The benefits are lower price (-25%) and access to all previously opened online trainings for all employees. Annual Membership also secures you all updates and improvements during subscription period. How fast is the help in case of technical problems? We aim to respond to all problems within 48 h from receiving the information to our e-mail: wellnessorbit@consciousinitiative.com. However on weekends responding time may be up to 72 h. Still, if there is a technical problem from our side, we provide you additional time of using the online trainings (your additional time equals at least the time of delay from our side). So far we have managed to be on the market without any technical problems at all, but just in case there will be some you now know our service level. We promise you that your total training time will never be shorter than you paid for! How fast should my internet connection be for using this online training? All our online trainings have Full HD videos. The minimum speed recommendation for FullHD video playback is usually 4Mbps. Please make sure that your Internet is fast enough to stream videos (or test your internet speed for fee here or view this Free Mini training to see how the video plays in your location). From our part we use only very fast internet connections that secure good connection to our CDN (Content Delivery Network is a geographically distributed network of proxy servers and their data centers). However please not that, slow internet connections at client side is not considered as a technical problem (you can see the video, but it will stop for buffering). Sometimes some computers/hand held devices might experience temporary memory issues with heavy or longer continuous video playback, in such a case we recommend to restart your device. What if I or my team do not get invitations? First check your personal "Junk mail" folder. In some cases our e-mails might be marked in your company e-mail filter as "Junk mail" (there might be delivery delay in your company for all junk mail, also in some cases your system could block our e-mail invitations to your staff). If so, ask help from your company IT support. Your company IT team needs to mark all @consciousinitiative.com domain e-mail address as safe sender or "Not Junk Mail" (It should be done for all of your company staff). How about my security and privacy? We use only use hyper text transfer protocol secure ('https:'). It is the secure version of 'http:', the protocol over which data is sent between your browser and the website that you are connected to. The 's' at the end of 'https:' stands for 'Secure'. It means all communications between your browser and our website are encrypted to protect information flow just as is done in case of highly confidential online transactions (like online banking and online shopping). We do not have access to your credit card number or credit card payment details and also do not collect or store that data (we use payment service by Everypay.com or LHV bank). In case you choose bank account payment our bank (LHV bank) stores your bank account data, we do not store this information separately for avoiding any risks in case of our clients. Can I try Wellness Orbit mental wellness training for free? Experience the closed trainig area as trainee (your team member). And we promise - our actual training sessions are even better!